Today is September 30, 2016 and I visited your Burger King at 4700 Jefferson Davis Highway in Richmond VA at 7:03am. I went to the drive thru and there was a vehicle in front of me. Once I got to the Speaker to place my order a worker that was standing outside in the parking lot advised me that there was no one inside the building. the lights were in and the sign was also lit up. It seems like this location has a very high turnover rate for employees and management. I will not be visiting this site again even though it is closest to my residence. You need to hire better competent people to work and run this establishment. As of the beginning of August 2016 they are no longer making scrambled eggs as a side or on the "scrambled egg" platter. They are using "folded" eggs which are disgusting, and usually small and over cooked. That is why I do not eat the croissants. Now it looks like they are putting chopped folded eggs into the burritos, from the pictures on the wall. The McDonald 1/4 mile down the road looks forward to making my scrambled eggs "homestyle" i.e. fresh for me every time I go there. They treat me like a family member every Sunday. My Burger King did the same until two weeks ago, stating corporate said no more scrambled eggs only "folded". They also said they think they are going to use frozen eggs soon. Do you know how terrible an egg is when frozen and then microwaved? I spend with my spouse over $100 a week for breakfast at Burger King on the way to work. I guess that $100 is going to go to McDonald's if they do not reconsider very soon. I complained about the crappy drive-through service at the Burger King on Yale in the Heights and your company was kind enough to send me a coupon for a "free" burger so I thought I would give it another try. This time I went to the drive-through on 6-10 and Yale in the Heights, Houston, Texas and encountered the most rude employee I've ever met! I was trying to explain to her that the coupon I had was for a "free" burger and was mailed to me, she insisted I was wrong and that I had to buy something in order to receive the "free" burger. After trying to explain it to her and giving her the number on the coupon which she repeatedly asked for didn't work, I asked her if I could just drive up and "show" her the coupon. She ignored me and wouldn't answer, I asked her at least 3 times before just driving up to the window. I gave her the coupon and she snatched it, closed the window and went away from the window, I'm assuming to ask someone about it. After a few minutes she reappeared and handed me a burger and closed the window, no I'm sorry for your wait, the misunderstanding, NOTHING. I was so upset, I started to get out my car and give her that burger back! Instead I cried from the anger, mistreatment and utter disrespect and went to work and gave it to a coworker. My appetite was no longer an issue. I am truly disappointed in your company and the way your employee's feel they can treat their customers that they forget are paying their bills. And your management staff is to blame also because after all of that madness, a manager could have come out to see what was going on or at the very least see what the confusion was about and handled it. Is no one trained there? I am a dissatisfied customer that want answers. I am a frequent customer to your restaurant at 3301 Ft Hamilton Pkwy Brooklyn NY 11218 store # 1557. My complaint is that i order a meal and i ask for hot tea, i don't drink soda or coffee they never have tea bags. I have started to carry my own because this location has a problem to have tea bags.I feel that the management is responsible to have enough stock for their customers. I would like a response as soon as possible. Thank you for your consideration. I stopped at your outlet at 776 International Drive Orlando FL and ordered 2 double cheese burgers and off the menu a 16oz fountain drink. The server gave me a cup that was obviously smaller than 16 ounces I questioned her but she insisted it was 16oz so I asked for the manager, she also insister it was a 16oz cup. It is the size of a standard 12oz can but they both insisted it was 16oz. First your employees could hardly speak English and when I told the manager (Menna) I would be writing a letter to Burger King she could have cared less. When I got home I measured the cup and as I thought it was a 12oz cup (see attached photos). I do not like to be ripped off and a couple of ounces of soda might not seem like much but multiply that by thousands of times and it is a major fraud. This is the sort of thing I will report to the proper authorities and you could find yourself involved with legal problems. Fix the problem at this outlet because it is located in the heart of an international tourist area and non-English speakers are being robbed; not good public relations. FYI: Your company is in deep trouble, why? Just look at the following web-sites, ALL BAD REVIEWS (one star). On 11/14/2012 my wife wanted to purchase a gift card for our grand daughters 12 birthday as a gift. We were at the Viera Florida store, but there was a problem with another customer about not taking credit cards and the line was very long and the issue went on for some 10 minutes or more so we left. We said we would get it at our local Burger King in Port St John Florida 32927 where we live. About 20 minutes later we arrived at the restaurant and again there was another issue with a customer about a similar issue of credit card use at the store and a very long line. Again we waited a long time to just purchase a gift card and finally gave up and left, with NO GIFT CARD! My wife to say the least was very upset. I have been a loyal customer for ever, but my wife said she will not go there again. The local burger king in our town, at the corner of Santa Fe at Lindenwood IS NOT OPENING their local diner/dining in area and has not opened for business on the weekend for quite some time. The cop-out excuse is that they don't have enough employees to do so. But they can still serve through the drive thru window. So tell me, how many employees does it take to turn on the lights and unlock the doors? This has become a very annoying occurrence and we have stopped doing business there and will not do business there until this situation is remedied. Please fix this or you will see more Burger King complaints in the future. 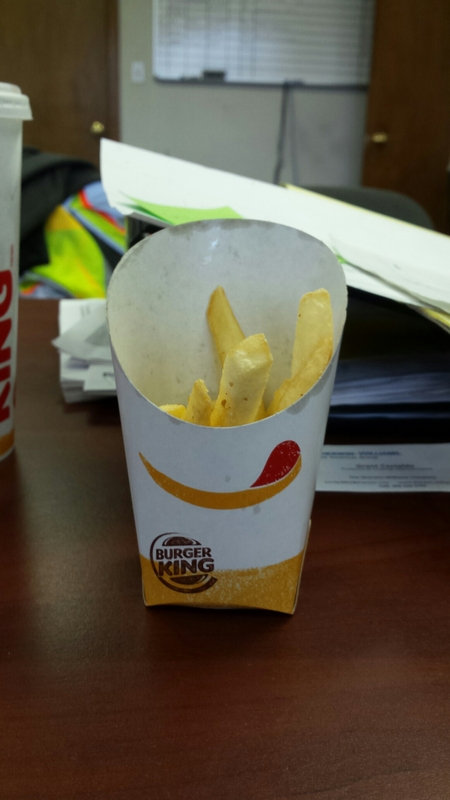 I visited Burger King on Denby dale road be Jnc 39 of M1. I ordered our meal and asked for a coffee. I was told I could have black or a cappacino. But I wanted milk in my coffee. She said sorry we have black coffee or cappacino. :-(. Whilst it took them ages to do our food, the amount of complaints whilst there was unbelievable. A customer had ordered burgers with no mayo or mustard. She had to complain twice as the teller had not paid attention to what she had requested, both times she got burgers with mayo and mustard. A chap brought back his coffee as it had all curdled. Another couple had to dispute their order as it was incorrect. I don't really use Burger King and for quickness will use McDonald's. I think I will stick to Mc Donald's from now on. 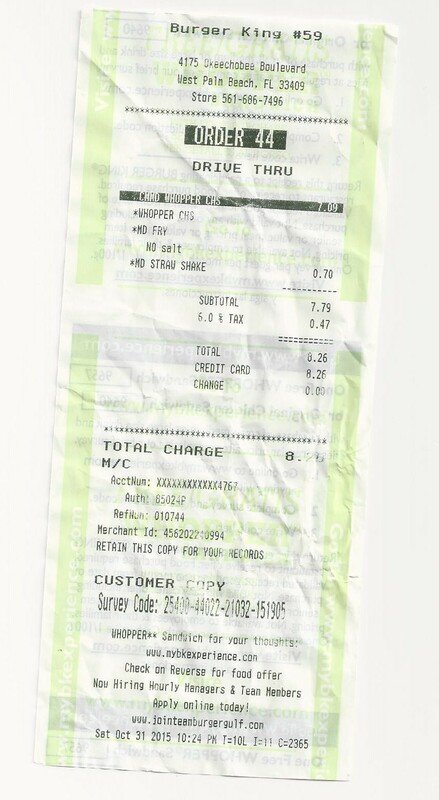 My husband had ordered, in English, 2 croisandwiches through the drive way at this Burger King on 1701 SW 8th Street in Miami, FL at 7:30 AM today on 05/20/2015. When we got to the window he was given only one. He said he had ordered 2 and the employee started arguing that he had ordered only one. My husband again replied that he asked for 2, then she replied "if you do not speak English do not order in English but in Spanish" in a very disrespectful and rude manner. My husband had ordered in English was our reply, while she continued arguing in Spanish. I asked for the manager and another male employee answered that "she is the manager." We both feel discriminated, and it is intolerable that this employee pointed out that my husband has an accent when the right way would have been an apology and supply the extra sandwich. Finally we expressed our desire to complain about the incident and she cared less. It is obvious that the behavior of this employee is unacceptable and that hurts the Franchise's good reputation. I will not return to this store. I would appreciate that this incident is investigated and the Manager is retrained in customer service knowledge at least. We went thru drive thru for breakfast and it took them almost 10 min to get us our order then we didn't even get a sort for the long wait time! Had we not have already paid for our food we would have pulled out!! That was senseless considering we were the only ones in drive thru!!!! ; not very professional since they represent burger king!!! Not a happy customer!!! I am complaining about the so-called coupons you give out. I always buy the double whopper meal when I patronize Burger King, so when I received some coupons for a whopper meal, I took them to my favorite Burger King restaurant. 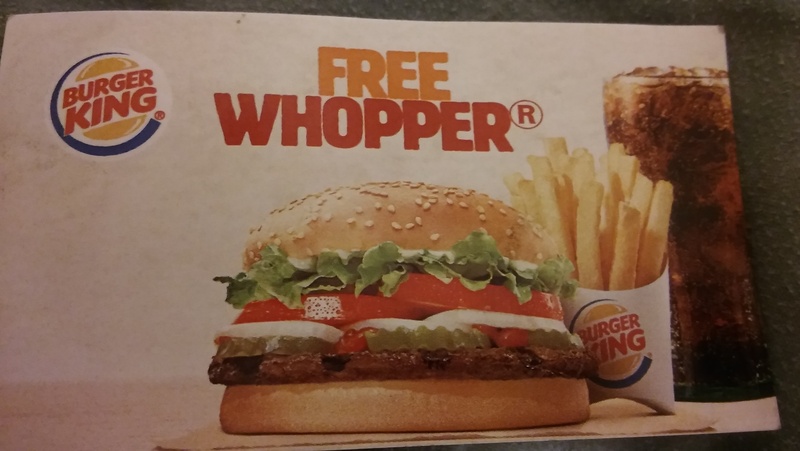 Unfortunately, what I thought was a reward for buying so many whopper and patronizing Burger King (you are the only fast food burger joint I go to), turned out to be a false advertisement for the whopper. 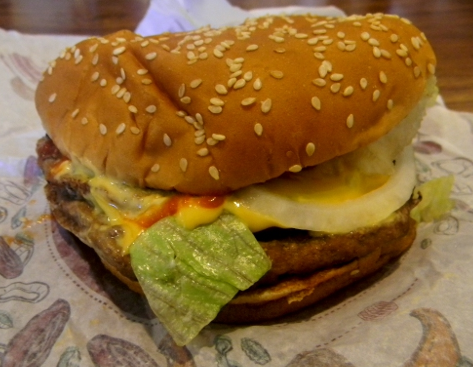 Instead, I got a very small burger that resembled nothing like the whopper. 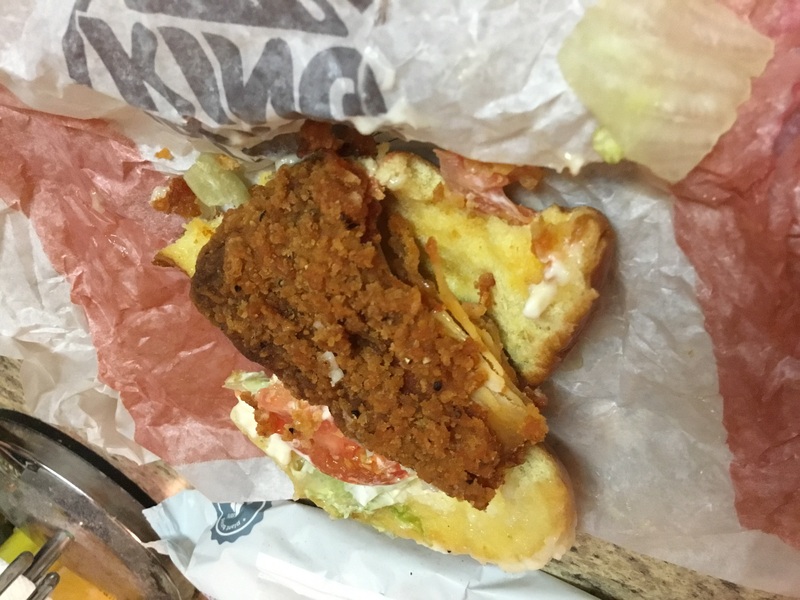 I got all the way home and went all the way back to the store to tell them they gave me the wrong sandwich (silly me was actually expecting the double whopper I always buy that was advertised on the coupon. The manager told me I had the right sandwich and just to prove it he painstakingly pried the two sheets of burgers apart to prove it was a "double" burger sandwich, nothing like the picture of the sandwich on the coupon. I will never use your coupons again. Very disappointed. We were at the Burger King on Delaware Street in Ankeny, Iowa, today. We waited in line over 30 minutes and then ordered, and waited some more. The older couple in front of us was upset and told the manager, "We have waited for over 30 minutes" the manager smiled and thanked the older couple..... only smiled and said, thank you, to them. Then I knew I had to talk to someone else. I hope that is you. We go into the Des Moines area, at least once a month. We will NEVER eat there again. The slowest, rudest people I've ever seen. They may have been short handed, but it was obvious the manager was micromanaging. 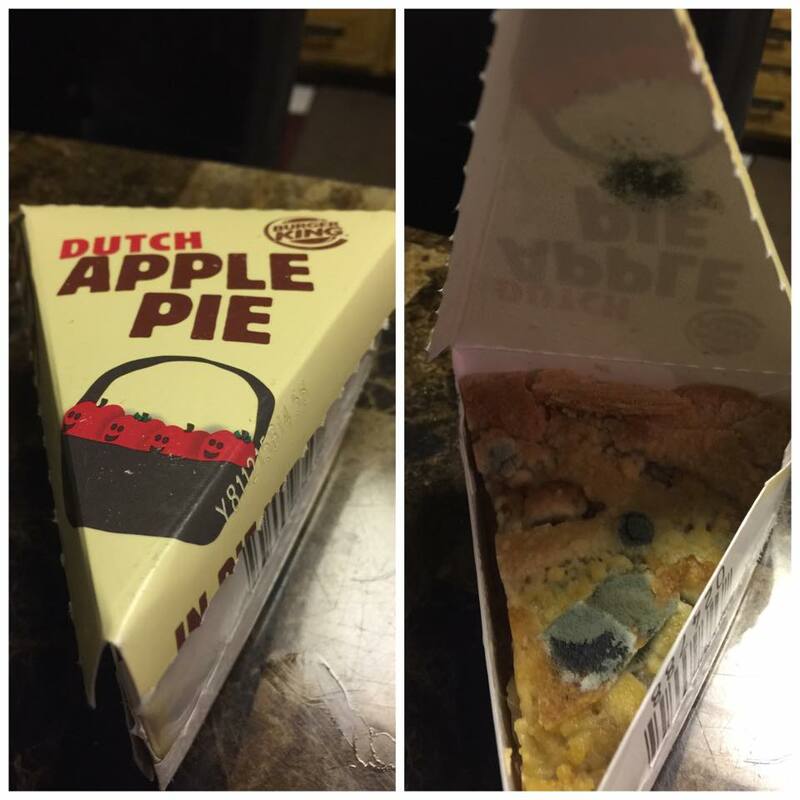 It looked bad, and was awful to experience. I tried to use your feed back at mybkexperience.com. It said that your don't need my feedback since you reach your limit (Paraphrased). My suggestion is to either do the surveys or not. Don't limit them. This was my first survey that I tried to fill out. I eat at BK once a week or more and this really is a bad marketing if you go at it half hearted. I guess I can go to McDs for the next couple of weeks until I crave a Whooper again. A Burger King on Ella Blvd in Houston, Texas (77008) just re-opened after remodeling. I've been by there twice within a two week period for breakfast. Both times I was told to move up and they would bring my food, however, there was no one behind me...I thought it strange the 1st time, but this morning when the same thing happened I asked "Why!, there is no one behind me." The nice worker working the drive-thru window said that they're on a timer and she need me to move up to stop the timer. First, if there is a timer it is to time the delivery of the food to the customer; which is not happening correctly because you don't get your food when pulling away from the drive thru. I just think its ridiculous that they depend on those timers to get the food to the customer in a certain amount of time. So....I conclude that your wasting your time on the timers because your managers\employee's have manager to figure a way to beat the system and report the wrong stats! Well played franchises, well played. score 1 franchise score 0 The Real BK.. Fix it or get out of the business. I went to Burger King 8238 N. Oak Traffic Way Kansas City Mo. this morning. The young lady in the drive thru was extremely rude. I told her that I wanted the sausage croissant meal with coffee. She stated, "you want the number one," in a very rude tone. I said no I don't want bacon, cheese, or eggs on the sandwich. So I repeated it. She stated the price and said pull up to the window. When I got up to the window, there was no smile, just a disgusted look as if I was getting on her nerves. Well, I guess I set her off, because when I saw how small the coffee was, (still trying to be nice to her), I said "I'm sorry can you make that a large coffee please". She slammed the drive thru window shut, rolled her eyes and put the small coffee down and got a large cup. She then opened the window back up and took my money and handed me the coffee all the while with this mean look on her face. I asked her when she gave me back my change, "What's your name? ", that changed everything, she goes "Marissa, can I get you anymore creams or sugars?" I said nope and drove off. She didn't even give me a receipt. I was too out done to even go back to get it. And the food was cold. this was at about 6:50 in the morning. Everything should have been hot. This is unacceptable, not trying to get her fired, just some training on how to treat your customers. If she doesn't like what she does, there are hundreds who would love the opportunity. Order my food, Drove up to window, Gave the woman debit card. She gave me my card back. Then held my drink and bag out of the window. I took my bag first. Then reached back for my drink. And she said and I quote. I DONT LIKE PEOPLE SNATCHING THINGS FROM MY HAND. Looked to a girl standing behind her and said, REMEMBER THE LAST TIME THAT HAPPEND? I have been working in town for three months. I have been going to the same Burger King everyday. She has no right snapping at me that way. She was rude and very mean. In the 35 plus years of buying food at drive ups, I have never been treated like that. Burger King in Mansura, Louisiana is sad and, its been horrible for years now. Manager is very rude yells on speaker at people while ordering she surly is not happy to be there at its very well known. if any one even answers the speaker at all you can see cars drive up for hours sit 5 - 10 minutes then drive off cus nobody even answered them. If any one is answering the speaker that day boy are you lucky because they still take forever and all the cars get backed up in the line most get frustrated and drive off. If your lucky enough to actually place an order when you get to window to pay they ask each customer to back up to reset their clocks then your stuck forever at the window waiting to pay and get your food. Better check your food while there cus if you drive off your screwed if you have to wait in line again till they answer you and chances are your order is wrong or they shorted you some thing. I went there recently for a cup of coffee not a one car in line waited 5 minutes to place order manager yells we aint got no coffee made I said ok then just give me a large coke i pull up at window they did not even have change for a 10 ten dollar bill waited another 5 minutes for change and for some one to fix a coke. The place either needs a major employee change or shut it down cus its loosing business. I honestly quit going last year and now we in 2015 this was first time trying to again still aint nothing changed. Some one with the corp of bk needs to drive up there and surprise them all my advise go at night that is when its worse. Ordered 2 sausage and egg biscuits W/cheese and two sausage and egg w/out cheese. Didn't check the price which is my fault, but it was $13.07 which is outrageous in itself. Check to make sure I had 4 biscuits. When I got home I had two sausage, egg and cheese and two sausage only (no eggs). Not only was the price terrible, but the order was wrong. Paid for more than I got. Last trip to the old BK! With that kind of pricing everything should be perfect. It's time someone needs to act like they care about this stores the store on miss street in lafayette, louisiana is about the most dirty store I've seen the workers are so dam lazy you go in and it's looks like no one cares and they look at you like a botheration you'll must be using this places as a tax cut just close the dam thing down shame on you'll we work hard for our money to go spend it in a nasty place if you don't care we so in the hell don't care. I just got out of Winter Garden West Colonial Drive location where I was stuck in line for over 10 minutes honking my car horn, due to the fact that my two boys got sick & had to go to the bathroom-It was an emergency!!! My boys were forced to pee and throw up in a paper cup in the car line! Once I got up to the window, I was so upset & expressed in words what had happened. The young girl employee laughed and argued with me that they had to wait on French fries! What I can not even begin to explain how wronged we were. We never got food and then after a young man said he was sorry he went to take someone's order inside and laughed and had a wonderful time at our expense!! We were humiliated, disrespected, laughed at, and treated worse than animals! I will be contacting my attorney tomorrow! 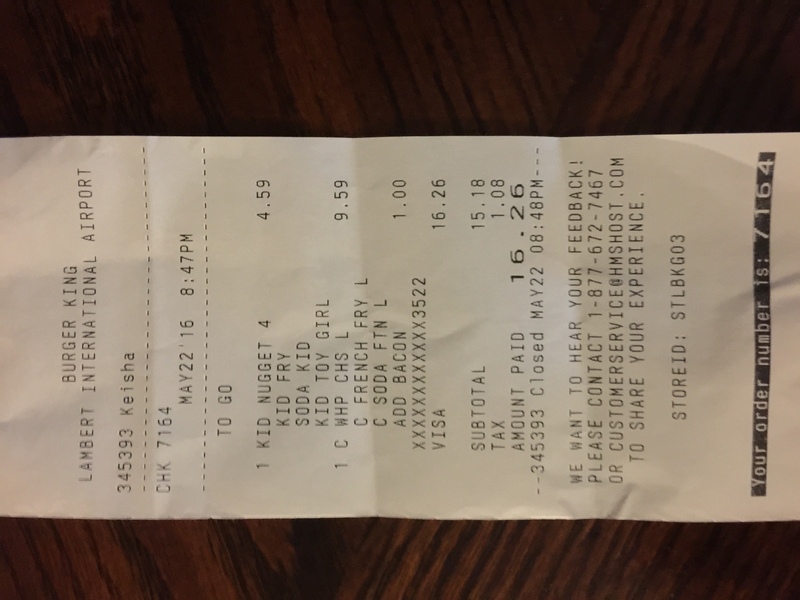 I was at the Burger King on Trumbull St. and Lafayette Detroit, Michigan on Friday April 10, 2015 around 4pm waiting on my order with 3 other customers. When a tall white guy started yelling at another staff member about her washing dishes and not being on the floor, he was cuzzing her out walking back and forth using the F word and being extremely foul I was in shock that was taking place in front of so many customers, so I asked who is the manager so that I could speak to them when she pointed to the same guy that was yelling and cuzzing. I couldn't believe my eyes that is was the manager, I'm not sure if this will even get to the appropriate hands but this type of behavior should not be tolerated and the staff there should not have to put up with cuzzing and foul language. Please do an investigation, I know I will never go back there. I am very disappointment and upset for my experience few minutes ago at the location show on this email. This store is a very busy store normally the waiting time is longer than the average BBK, that’s okay I go there for the convenience, but today after waiting for 15 min in line, of my 30 min for lunch, I realized that the store was out of patty for your signature dish, the Whooper, no whopper jr either. Where is the manager?, why don’t tell the customers before the wasted their time on a line?, Why not closed the store or put a sign at the door, or even better have respect for your customers and have some employ informing people of the situation. But not only is the aggravation of the waiting and not having what I was looking for, is the attitude of the cashier, very rude and very unsympathetic. Please train the manager of this store, if you have a situation like that put your best employ on the front, the faster taking order, the most accommodating. I think what trigger me sending this letter is the fact that she did not have any respect or consideration for other people’s time, no customer service experience and very unacceptable attitude, rude and making faces like she was doing me a favor. Please I hope you can correct and train better your employees. The bathroom is nasty at the Burger King on 23rd street, Chattanooga Tn. The paper towels were sitting on top of holder instead of in it, and the floor was soaking wet, full of urine. The most disgusting thing about the bathroom experience is that I almost slipped and fell. In the urine! The walls were covered in grime and the sink where I'm supposed to wash my hands is the dirtiest part of the bathroom. The place I'm supposed to get CLEAN is the DIRTIEST!?!? That doesn't make any sense! I was so nauseated from the experience that I left, not even bothering eating at the gross establishment. Just for proof, I took a picture of it. This morning, after my girlfriend and I got breakfast, my girlfriend was harassed by one of your managers. When Sandi went to get her coffee refill, this manager, a somewhat chubby black woman with blond hair (I don't she's a natural blond) told her, out of the blue, that "you can't hang out here" and said she would be loitering. 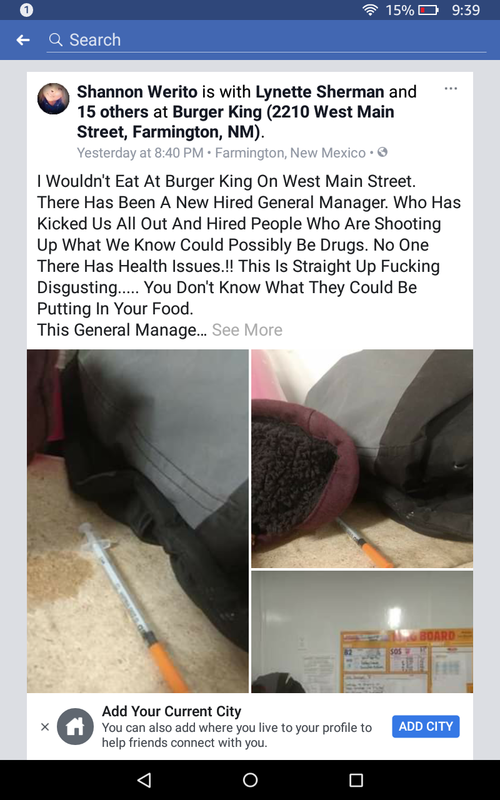 We have been frequenting this Burger King, at Beaver Dam Road and Bristol Pike for a few weeks, and never had a problem. Sandi is homeless, and sometimes when I have errands to do, I leave her here with some money to buy coffee or something. Today, like other days, we came in and quietly ate our meal and sipped our coffee. The problem is not that Sandi would be taken someone's seat when it's crowded, just that, evidently, this manager is discriminating against the homeless. Oh, and this manager said another manager complained about Sandi loitering (a dubious story). Why would this other manager not tell Sandi directly? Sandi and I generally are quiet when we visit Burger King and don't bother other guests. In fact, we've gotten to know some of the regular guests here and enjoy talking with them. And we always clean up after ourselves, leaving the place the way we found it. Other customers have been extremely loud and leave trash on the table and the floor. Last night, three older teenagers almost blocked the way as they played their "music" loud and danced around. Another customer's little boy bounced a basketball around, almost knocking the ball and himself into customers. Sandi is undergoing chemo therapy and always wares a "cat hat", even inside as she has lost most of her hair. She doesn't cause problems like others have and cleans up after herself. This is clearly a case of discrimination and harassment of the homeless. The manager just coming out of the blue when Sandi got her coffee refill and telling her she can't stay long, while we were still eating breakfast, is arbitrary and capricious. Other people hang around and socialize and other managers don't have a problem with this. I've only seen this manager two or three times in the past couple weeks Sandi and I have been coming to this Burger King, and this incident has left a bad taste in my mouth (pun intended). Sandi is going through stress, with the cancer and being homeless. Burger King should not add insult to injury by harassing and discriminating against her. Please do something about this discrimination and harassment. I ordered 2 extra long cheese burgers and a fish sandwich and a small smoothie. I asked the cashier to explain why my order was 22.00 and she walked off and left me at the window. She started doing something and walked off frown on face like she did not want to help me. I stayed at the window puzzled and finally another employee asked if they could help. They went through the order and found I was being charged for a meal I didn't ask for. The cashier was very unprofessional and acted as if she did not care. I had to wait for a few minutes till my meal was re cooked. When I received my order, it was cooked to a crisp, black and hard. I have no intentions on going back. 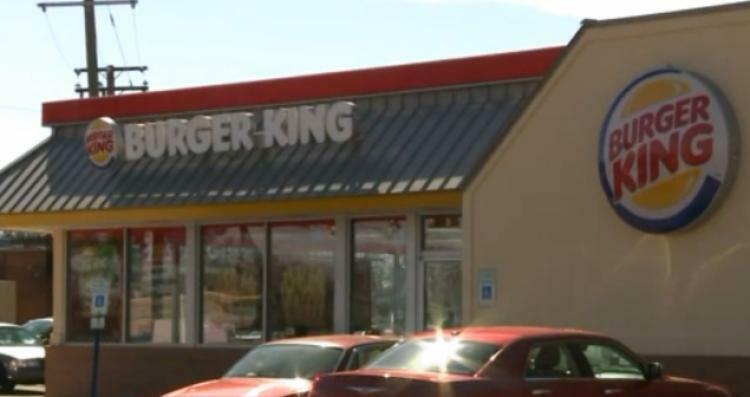 Burger King restaurant in blytheville, Arkansas! Your usual site not taking info - I want you to know that this morning's experience (04/05/15 at 10:20 am - Store 11659) was way below par. Unusual for the place - maybe the cat was away this Sunday! It took 9 and one half minutes to receive two croissants. I was the only one in the drive up lane - and there appeared to be 1 person at the counter. Caitlin never in that interim appeared at the window to indicate she was sorry for the delay (no cars ever came up behind me while I was in line). Nor did she indicate such when she passed me the bag. 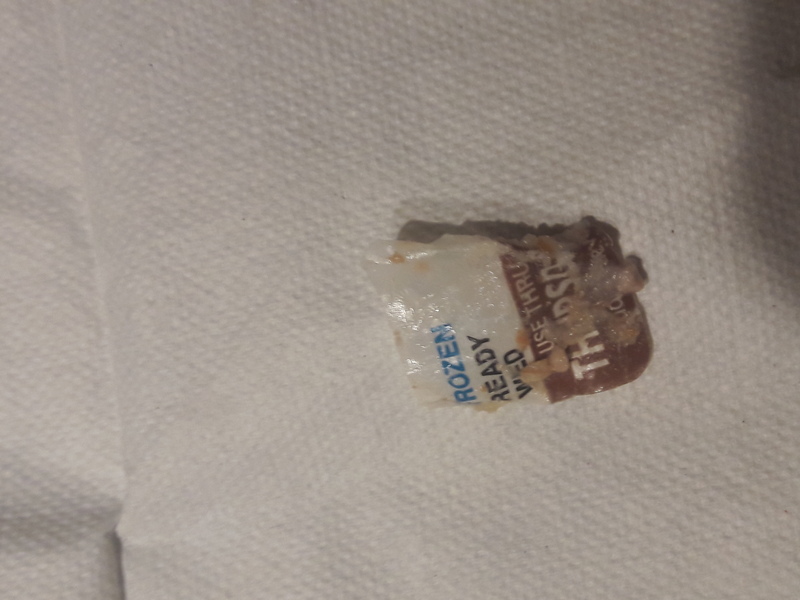 I asked for a receipt, for I never received one - "I threw it in the trash - I'll print a new one." Maybe it was the kitchen's fault, but she was the face of that business. Maybe some training - and a faster cook!! Store 2981; Approximately 10:00 p.m. April 3, 2015. 1) after finishing my meal (tasty)I went to counter and stood in line to order a sundae; second in line, behind a BK employee ordering. After the employee ordered the two employees chatted and joked without acknowledging me standing at the counter. I believe my presence at the counter alone ought to had been a cue for the counter worker to ask me if she could help me; instead I found it disrespect and poor business to allow me to walk away without acknowledging that I may want something. Good business is for employees to place the customer's time ahead of their own. I was on break from work - I guarantee that my time is well worth more than BK counter help. (2) I went on-line to complete survey. After agreeing to answer a few more questions I was kicked off. I attempted to go back on-line but I received a message that no more surveys were being accepted. I just spent 5 minutes attempting to take the survey and now another 15 minutes to voice my complaint. Apparently, from the website notice, BK does not need my information and may not be honring the agreement. I believe I have valid concerns - I have been frequenting this BK location nearly weekly (or more) for over 7 years. Please give me a reason to return because good customer service is questionable at this time. Apparently, the newer employees have not been trained well. I do not have time to wait for good customer service. I am busy and I am certain you are as well. Thank you for your time! Every time I go here to the drive-thru at Burger King in Windham, Maine (04062) it is a 10 minute wait for my food. Its at least 3 -4 minutes before I can place my order, then a 5-10 minute wait for my order. Not just me , EVERY ONE! You can go to McDonalds across the street and be out of there in 3 minutes or less, usually less. You need to hire more efficient employee's. No one should ever have to wait that long. I got to McDonalds and as I'm leaving the same cars are at Burger King still waiting for their orders. This is like this ALL THE TIME. And at Burger King there is no way to get around the other cars in the drive thru so you have to Wait and wait and wait. WHAT IS WRONG WITH YOUR EMPLOYEE'S? Orange juice was almost water at Burger King. If I go there I expect a certain level of customer service. Went to go get a ice cream sundae manager claim that it was 4 oz. of ice cream wasn't even 1 and half. I don't think that customers should be treated that way. One food was ice cold returned it and she had put already deep fried onion ring back in the deep fryer then my fish sandwich was so cold there was no warmth at all ice cold brought it back and the had that balls to microwave the fish patty and one it was still cold and so tough it could not be eaten at all this is the 2nd time I've been there and the 2nd time we got food poisoning and extremely bad service and food this place there is no way this place would ever pass a inspection of any kind its dirty filthy and the employees are just as bad I will NEVER go back to that burger king don't wanna be sick with food poisoning again even my son got sick off their food this burger king was on the corner of century ave / 120th ave and 36 in south Paul MN area I was told the place was closed down due to it not being up to code. Rowlett, Texas has no burger king! Come on guy's i need a double whopper stat! We went into burger king store 977 and we go in every morning and there was a sign on the window for two Breakfast cros. For 4.00 the employee at the window charged us 3.89 for each cros. We did tell her that the window sign stated 4.00 for two and she stated that the price is not on her menu code. We did ask her to check. The window and she stated she was not going to do that. We would like our money back 3.89 and she does need more training at the window she was very rude to us. She does not know her job. Went to the burger king in Chalmette, LA didn't have sausage but ham and bacon only really. Needs to be closed down. Went to the BK in Fairhaven Ma about 7pm tonight. Ordered 2 fries and 2 Jr Whoppers got home a 4 min ride everything was cold! Really ! Now I had to listen to my husband complain. This is not the first time this has happened at this location, simple request I want my food hot.